I know I kind of talked about this on my “treat others the way you want to be treated” entry, but I decided to add a few more thoughts. Since childhood, I was under this false pretense that I had to be strong. This followed me into young adulthood. Especially, during times where I knew I was being put under a microscope and I felt people were expecting me to fail. 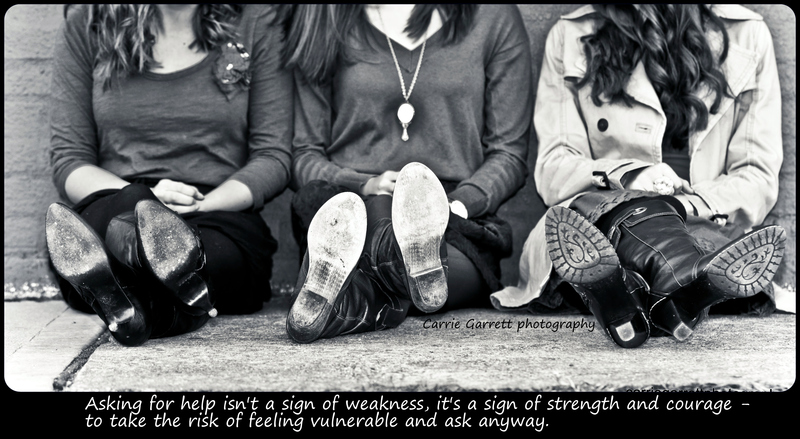 I felt that if I showed anything but strength, I would be looked at as weak or unable to handle my circumstances. I am so glad that God showed me that life is not supposed to be lived this way. He created us to love and confide in each other. Sometimes always being “strong”, keeps us from the feelings we need to experience. Way too often, we build walls around ourselves in the midst of sadness, pain or hard times because we are too proud to ask for help. We hold a smile that says ” I am getting by fine on my own”. When in fact, we are not. When you confide in another person, not only does it help you but you also bless the other person! You give them the opportunity to show their friendship, loyalty, and love for you by being there and being a true friend. By putting up walls we are stopping the flow of love between us and others.. the love that can give us the strength we need. Embrace the people who are reaching out to you. If someone you trust asks you how you are doing, answer with honesty, even if it means admitting that You are “not great” at the moment. Don’t shut people out or they may eventually walk away. God asks us to be this vulnerable all the time – with Him and with others – if we want true joy.